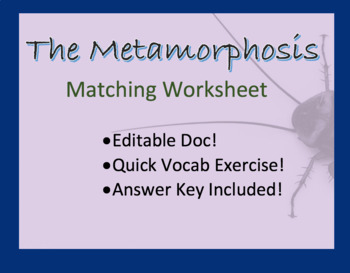 This worksheet includes 20 vocabulary words from "The Metamorphosis" by Franz Kafka. Students will identify the correct word for each definition provided. 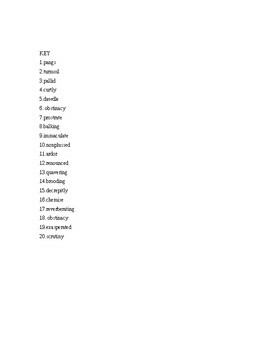 The word bank is located at the top of the worksheet, and each word is used once. The answer key is included for you.